I have written before about the need my house had of being updated. The family room needed a lot of help, but much of that has been taken care of through paint and carpet. Next in line of most horrific rooms is the kitchen. I enjoy cooking and baking, so a semi decent kitchen was necessary. 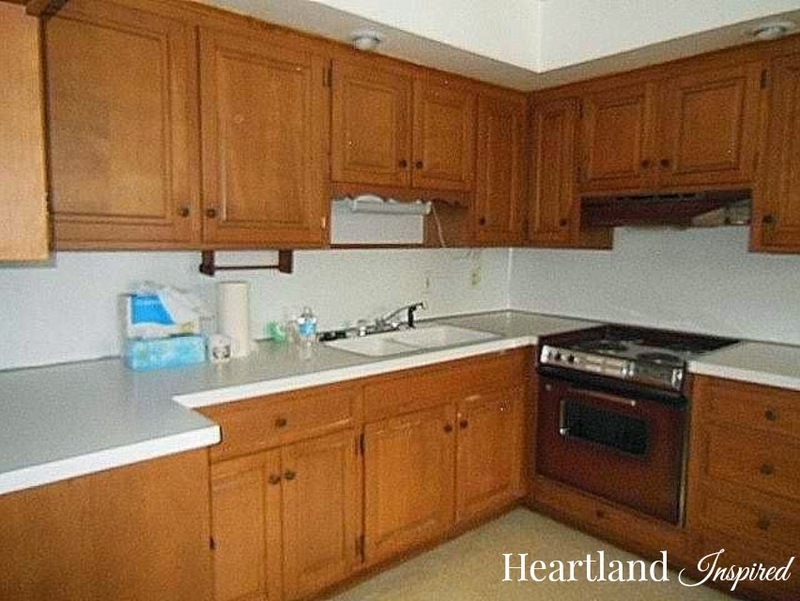 When I was looking for a house, I wasn't looking for a perfect kitchen, but I wanted one with potential. And that is what I got. The kitchen is a decent size, but it needed a lot of help. So this is what I have to work with. Not a whole lot of counter top space, but manageable. The cabinets don't look bad in this picture, but the bottom section is pretty scrapped up. But still manageable. But there is a problem. Here it is. 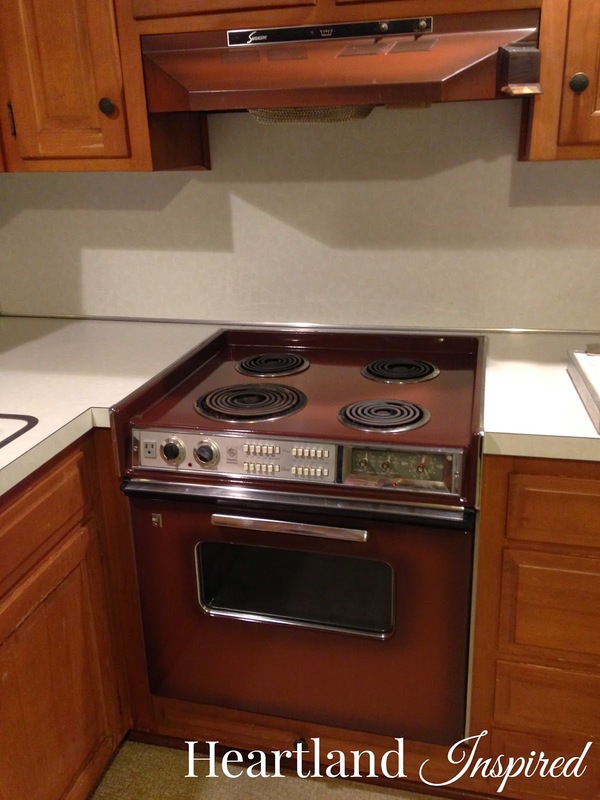 The built-in stove. It is a dinosaur. And it is pretty gross. The elements and drip pans can be replaced. It turns on and the reason I know that is because they checked it during my inspection. The oven is pretty yucky. I think it is as clean as it can get and that isn't saying much. However, I don't know how well it works. My mom and I went to a few places to get some ideas. My kitchen Pinterest board is another place that is full of things I would love to put into place. However, my favorite store to plan out my dream kitchen design is Anderson's. It is a local store and the designer I worked with was FANTASTIC! I even picked out my finishes. 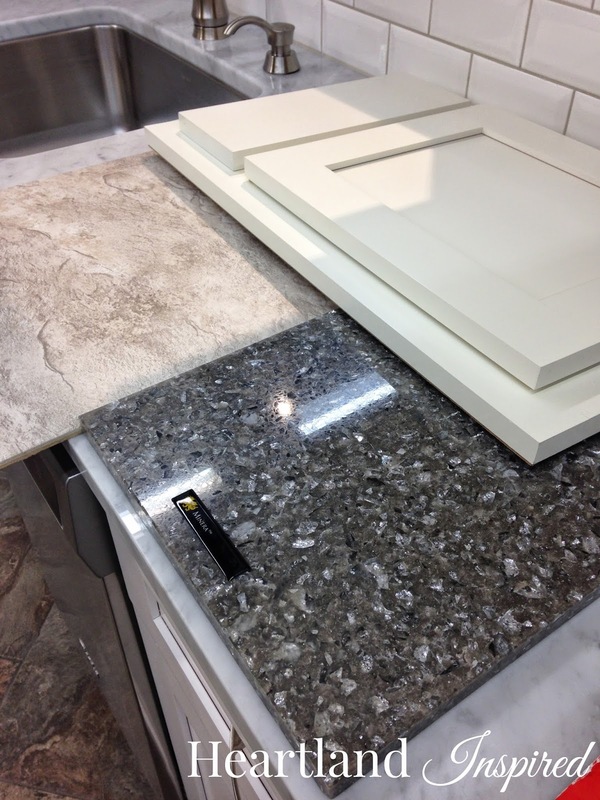 Flooring, countertop (Quartz!!! ), cabinet style and color and even a backsplash. But paying for it is the hard decision. This is my first house. I am paying more than I did in rent, but I am making more money. My car is within 2 months of being paid off, so that will put more money in my pocket. But I don't want to overtax myself. I wouldn't mind being married to this place for the next several years if it gives me the house I want. I am planning on staying here for a long, long time.